Over the last two-plus years I have become an unwilling expert on the ins and outs of supplemental oxygen. When I started using supplemental oxygen I knew next to nothing and found it very hard to get the help and information I needed. I’ve learned a lot and would like to pass on what I’ve learned to you. I am sharing based on my own experience and realize what I share may be incomplete. I’d love to get your input on this topic! The use of supplemental oxygen must be ordered by a physician, approved by insurance and offered by the oxygen provider. 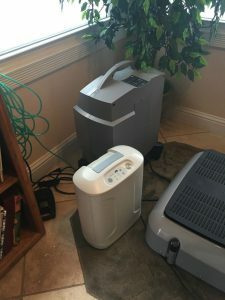 Today I’ll be covering different types of oxygen I’ve used at home, and next week I’ll share options for using supplemental oxygen away from home. Gas cylinders : Oxygen can be delivered to your home as compressed oxygen gas. This compressed gas is stored in steel and aluminum tanks or cylinders. Larger tanks are stationary and used at home. The top of the cylinder has a place for a “regulator.” This is a device that regulates, or controls, the air flow coming from an O2, or oxygen, cylinder, usually between 1 and 15 liters per minute. Your oxygen provider will deliver the amount of tanks or cylinders you need on a weekly or biweekly basis. Oxygen concentrators: Oxygen concentrators are also available for home use. There are “low flow” concentrators, delivering 1 to 5 liters per minute of oxygen, and “high flow” concentrators that go up to 10 liters per minute. An oxygen concentrator is an electrical device about the size of an end table. It concentrates oxygen in the air by removing nitrogen, and then concentrates that oxygen, and sends it back to you to breathe through a nasal canula. This method is less expensive and easier to maintain, as it requires no refilling of tanks. However, oxygen concentrators may give off heat and are noisy, and they may significantly increase your electricity bill. You will still need a back-up source of oxygen in case of a power failure, so make sure you have gas tanks on hand to use just in case. A humidifier bottle can be attached to the concentrator to add moisture to the dry air delivered by the concentrator. When you need more than 10 liters per minute, you can hook two concentrators together with a Y connector to deliver more liters per minute. Check out my video below to see how this works. Liquid oxygen: This is made by cooling oxygen gas and converting it to a liquid. Once approved, the provider delivers large tanks of liquid oxygen to the patient’s home, which must be filled weekly or biweekly by the oxygen provider. The biggest problem I have experienced using liquid oxygen is that some oxygen suppliers are reluctant to carry it or do not offer it at all because it is very expensive for them to provide. I had to fight for three months for my oxygen provider to be willing to deliver it to me, and another two months to bring me portable oxygen containers to use away from home. 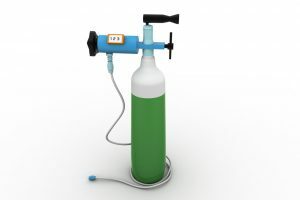 Liquid oxygen tanks deliver only six liters per minute, but they can be hooked together with a Y connector to deliver 12 liters per minute with two tanks, or 18 liters per minute with three tanks. Check out my video to see how this works. Liquid oxygen is slightly cool and soothing, and is much easier on my nose, which dries out terribly with a concentrator. This is especially important as the patient requires higher levels of oxygen. Portable oxygen containers (called strollers) hold more and weigh less than gas cylinders, and are easier for me to use when out and about. I’ll talk more about these next week. Supplemental oxygen is very expensive. Most insurance plans cover this cost, but some do not. I’ve had both experiences. 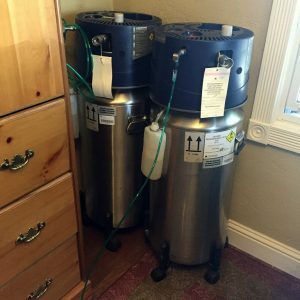 My first provider did not cover supplemental oxygen in their individual plans (which I had). They did cover it in their group plans. I took my insurance company to the state insurance board, but lost. I had to buy my own equipment. My current insurance company covers the cost, and I’ve had no problems with them. Please check directly with your insurance company about what your policy covers. I’ve created the video above to show you my equipment so you can see up close what the options are. I hope it is helpful to you. Check back next week when I share different types of portable oxygen possibilities. I’d love to hear from you! What was helpful for you about this post or video? What other experiences about using supplemental oxygen at home could you share with us? 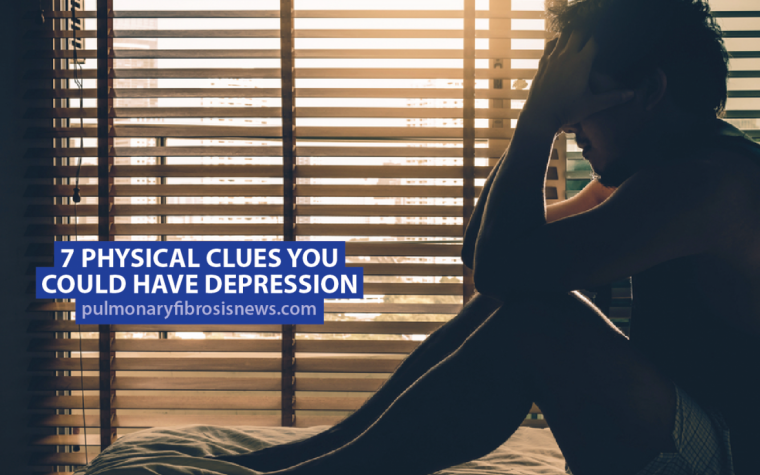 Please share this post with anyone you feel could benefit, or on social media. We’re in this together! Tagged home oxygen, oxygen, oxygen use, pulmonary fibrosis, supplemental oxygen. 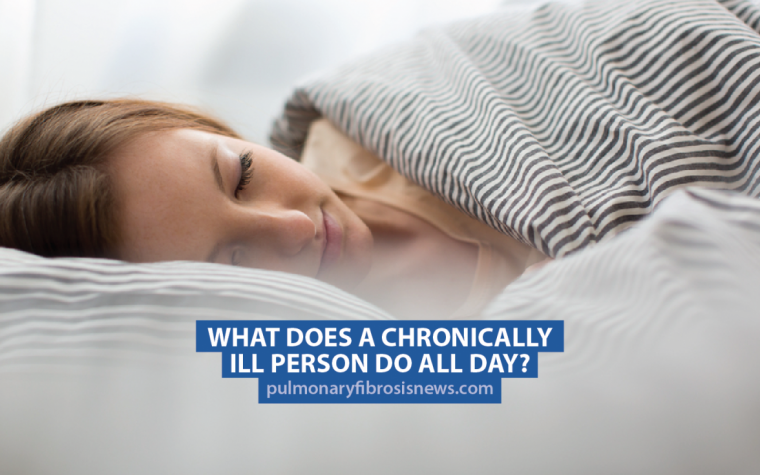 Next:What Does a Chronically Ill Person Do All Day? My husband has ipf. His oxygen concentrator and his pic only goes to 5L. He is ok as low as sitting . But when he goes out he can hardly walk any distance or do anything with pic at 5L. Started on oxygen last nov 2016 and dr did order for 2L. Not near enough. What kind of tank would help him to get around. Thanks for replying. Hi Esther…thanks so much for your comment. I would encourage you to have you and your husband go in for an appointment with your Doctor. Describe exactly what you are seeing. He or she will probably do a six minute walk test to see what his oxygen needs are when walking. Sounds like a high flow oxygen concentrator may be what you need (it goes upto 10 lpm). His Doc will need to write a prescription for a high flow concentrator as well as portable tanks or portable oxygen concentrator when leaving your home. Check my post next Tuesday where I’ll be sharing about different portable oxygen solutions. One question for you – is your husband getting any kind of pulmonary rehabilitation? I have IPF, and the P.M. has not actually reduced my level, but it has allowed me to do more at that level. If he’s not, it might be worth looking into. Yes thank you very helpful. Wish I had seen this when I started oxygen 2014 I do not need to combine 2 yet but I wondered about how that would work. I don’t quit understand about liquid oxygen. I have the tanks for back up or when I do my treadmill. Lorna, so glad this post was helpful.I’ve had to figure it out myself, so I am happy to share what I’ve learned with others. Next week I’ll be sharing about portable oxygen solutions, and will share a little more about liquid O2 then. I’m glad you’ve got tanks for back up. Thanks for sharing with us! My name is Jeff I live in Ventura California my oxygen supplier is Inogen that has supplied me with a home and portable oxygen concentrator. My doctor just prescribed liquid oxygen as my IPF is getting worse and the portable can’t keep up . Inogen is telling me they don’t supply Liquid oxygen and they do not know of any company that does . Bruce…thanks for the tips you shared. Very helpful! I don’t know why, but I have trouble breathing with the humidifier bottle. When it is attached or on a humid day breathing is harder for me. I’m not sure why. I love the way you have O2, tissues and a trash can at different stations throughout your home. Brilliant! I have an Inogen G2 also, although now that I am on 8lpm, the maximum 6 pulse doesn’t work for me when walking around. I keep it in my truck as an emergency back-up. Thanks so much for sharing your wisdom and experience with us! Blessings to you too! Thanks for your wonderful and comprehensive presentation about using O2. I’m a bit confused as I thought the numbers on the concentrators were just setting numbers and not liters per minute. I was told that the tanks are actual lpm so not to compare those numbers with my POC numbers. Also, softhose.com sells wonderful long, flexible tubing that lies flat on the floor and does not kink. Wonderful material. They also have an inexpensive valve that attaches to the tubing which allows one to adjust the flow level from needs at sitting to greater needs walking across the room. Hi Betsey…Thanks so much for your encouraging comment. I’m glad my post was helpful. The numbers on the tank are definetely lpm numbers. There is a difference between the numbers on a portable oxygen concentrator (POC) and a continuous flow concentrator, gas tanks and liquid oxygen tanks. The portable concentrators give a puff of air when you breathe, as opossed to oxygen being delivered continuously. That means 6 lpm on a POC is not as strong as 6 lpm using a concentrator, gas or liquid oxygen. Thanks so much for the heads up about tubing by softhose.com. I tried to order from them once and they were out, and I forgot to try again. Thanks for the reminder! The valve sounds great too! Thanks for sharing your wisdom with us! Thanks Esther…Yes, they need to do another six minute walk test, pulmonary function test (PFT) or even a CT scan. Yes there are portable tanks that go higher than 5 lpm. Check in tomorrow for my next column about this. Your hubby is blessed to have you by his side! There is a high flow liquid oxygen reservoir by Caire that deliver 8, 10, 12, and 15 lpm. Thanks for sharing this info Barbara! I will include this info in the post I do next week about portable oxygen options.Thanks! Hi Linda…I’m so glad you left a comment about your lung condition and the struggles you are going through. It is my opinion that based on your symptoms you should definitely be using supplemental oxygen. I don’t know why your docs are not being very helpful. There are other tests that can give you much more information and will show that you need supplemental oxygen. Some of these tests are the six minute walk test, pulmonary function test (PFT), spirometry, and a CT scan. I encourage you to demand a referral to a specialist and/or the closest hospital to you that are specialists in lung disease and do lung transplants. I’m so sorry you are so alone in your fight!. I and this community are right here with you. Feel free to print this column and all the responses and bring it into your Doctor. You will feel so much better once you are using supplemental oxygen. Don’t give up!!! Thank you so much Kim for replying, I will print this off and show my consultant. I’m going for a lung function test next Monday so see what that brings up. I have mentioned about the 6 minutes walk because he told me about that back in November but still not forth coming. Hi Linda…yes, I’m so glad you are getting the lung function test. That will give you some good information. As far as flying…you need his input to make sure you’ll be safe flying. Here’s what it is like in the US, so may be different for you. They allow you to take a portable oxygen concentrator on the plane with enough batteries to last twice the amount of the flight time. Check out my column and video tomorrow where I show you how it works. They require a Doctor’s letter saying it is safe to fly. Check your airlines website and see if they have information about “flying with oxygen”. They usually give guidelines and tell you what types of oxygen they allow on the plane. In the US they don’t allow gas or liquid O2, only the portable oxygen concentrator. It may be different in Europe, so check with them directly. You need twice the lpm on the plane that you need at home when sitting. So for me, when I was still able to fly, I brought my Inogen G2 on the plane which goes up to 6 lpm (pulse dose) to stay above 92% saturation. This was fine, because at home using 3 lpm kept me above 92% while sitting. I love that you are going to Italy on holiday…but just make sure you’ll be safe flying. I own my portable oxygen concentrator (because my insurance wouldn’t pay for it). It is pricey, but you can also rent them. Let me know how it goes. You are worth sticking up for!!! I found out the same way trial and error on 02. I now have 4 liquid tanks, 1 they so call portable ( which is half the size of the normal liquid tanks) to refill the small refillable portables that go up to 15 lpm. I like the liquid since it keeps me saturated better than the gas, i also have a 10 liter concentrator which i use at home when i am running around the house. I am still working some what so the portable liquid works great to get out and about for a few hours. I also have E tanks so when i have to travel to UCSF i fill up my liquid portables, take my concentrator with me and some E tanks cause the liquid tanks will run out they also will dissipate. We usually stay overnight for appointment the next day so i use the concentrator at hotel liquid which is left to go to appointment and gas from E tanks to get home. I am on 2 to 4 liters at rest and 8 liters or better on exertion. Hi Douglas…you and I have the same routine…Awesome. I go to UCSF too, and we usually spend the night as well. I have a small liquid tank in my car too that lasts the trip in the car, as well as filling up the portables. Check out my post tomorrow where I show it. Thanks for your comment! Great Morning Kim Just one comment I use the 10 Liter concentrator If you have a Garage you can place it out there to cut down on the noise and heat only problem is the garage get warm and you have to clean your filter more often been doing this for two year now problem have a great day. Ipf going on 7 years.I wish i could get the liquid for outside uses just have to learn to adjust. Thanks for your great comment Guy. That is a wonderful idea! I wish I could do that myself. We have an unattached garage a ways away. I know your great solution will benefit others who might not have thought of it. Wow…7 years, that is hopeful. Sorry you’re not able to get the liquid oxygen. Darn! You have a great day too…and thanks for sharing with us. I HAVE INSTALLED A CONCENTRATOR IN MY VEHICLE USING AN INVERTER 1000 WATTS AND HOOKING IT DIRECTLY TO THE BATTERY. it was hard to find someone to install the inverter so you must check around. car dealers do not want to help. IT SEEMS TO WORK PRETTY WELL AND SAVES A LOT OT OXYGEN TANKS. I FEEL NOW I CAN TRAVEL A DISTANCE WITHOUT FEAR OF RUNNING OUT OF OXYGEN. I STILL TAKE SUFFICIENT OXYGEN TANKS TO ENSURE I CAN RETURN HOME SAFELY. EXPERMENTING AT THIS TIME to see what adjustments must be made.STARTED THIS MONTH, BUT OXYGEN FLOW WORKS. Hey Eugene, Thanks so much for your comment. What a resourceful idea! Thanks so much for sharing with us. Blessings to you! POCs so not deliver the oxygen on a continuous for more than 30-45 minutes. Even an hour is worthless. Dealing with this person had caused me to feel that I am being made a,prisoner in my own home. Hi im glad i stumbled across this page. My dad just got home from being in the hospital for 10 days. He is at stage 4 of his PF and its so hard to accept and learn to take on along side him. I was in search of if there were air concentrator that go above 5L and that question has been answered. Thank you. What do you know about a bipap machine? He had to wear that at the hospital also anf we are looking if there are portable ones. If my dad needs above 5L is there a portable air concentrator because before the hospital stay he was using the cylinders to go to dyalisis. He is a sick man and im trying to keep him comfortable as long as i can. Any help is appreciated. Also if you dont mind me askinv what stage are you in of PF? I would talk to your doctor about this. His best best is to use the gas cylinders. They can give you a regulator that goes up to 15 lpm. I don’t have any experience with a bipap machine. I’m in 4th stage too. Blessings to you and your Dad. My son Grant uses 4 liters of continuos high flow oxygen concentrator that is large. He also uses tanks at 4 liters. We want to be more mobile. Is there a concentrator that is portable that has at least 4 liters, 4 hour battery? If not is there a way to use a y connector to hook up to portable oxygen concentrators to get the liters and flow we need? The only thing I have found is liquid oxygen. The portables go up to 15 lpm. It is hard to get but worth the fight! I bet you could try to hook up two POC’s to get a higher flow. It’s worth a try! Kim, i’ve just reached the stage of this disease where i need supplemental oxygen, so I’m new to this. But I’ve I’ve read your blog for a while now and really enjoy it. Just wanted to say thanks for this video. It was very helpful. It also helps me put a face and voice in my head for when I’m reading your blog, which is nice. Thanks for ask that you do! Best wishes. Thanks for taking the time to encourage me. I’m so glad my column has been helpful to you. Best wishes to you too! Hi Kim my husband has ipf he is in the hos on 15 lit I went to bring him home how do.i get enough oxygen to do that . So sorry for all you and your husband is going through. Your doctor should arrange for oxygen concentrators to be sent home with him. They should arrange all that for you and explain how to use it. If they don’t insist on it. Many blessings to you. I have IPF and have been in oxygen for a year. My husband and I like to travel. I want to keep active and keep doing things as long as I can. Can anyone recommend a company that would supply oxygen to a hotel in the Caribbean. How do you travel with enough o2? How do you secure the portable tanks safely in your vehicle? My husband is on 6l continuous flow. To go see our grandkids it’s 4 hour round trip plus if we stay a few hours, we have to carry a whole car of tanks? Then you still worry about running out. We have the large concentrator he uses at home. I travel with 2 46 liter liquid tanks in the back of my van. 3 Companion T-1000 to rotate, they get very cold and need to thaw out. I have setup so I breath off of one tank and use the other to refill the T-1000. I have Inogen G3 if I need a boost. Last I carry 1 D tank secured behind the drivers seat. All tanks are secured with tie downs. I am currently using 10 -14 l at rest. This gives me about 7 to 10 days before I need to refill the 46L tanks. Love the way you put everything in acrost I’ve been living with pulmonary fibrosis for eight months started out on 2 leaders a minute sitting and 5 laters walking now sitting with 5 liters blood oxygen sitting at 88 then when moving drive to 72. I know it is getting worse so I might have to go back to the doctor to prescribe a bigger machine. You’re the only person out there giving out good advice and I thank you from the bottom of my heart. I am only 57. Love and peace to all. I had a lung attack 3 years ago in the middle of the night, I walked around okay for a few days, then one night I went to the Hospital, an MRI was done and didn’t find anything, they put me on prednisone. Two days later I went to my Dr. he got on me for going to the Hospital. I said my oxygen level only drops on ex urshon, I walked to the elevator’s and back, then tested, it was like an emergency seen, I went home with his personal office oxygen set up until oxygen could be home delivered. My question is now I use 2 LPM on my home concentrator, but I can’t use the small travel tank on pulse on any setting, have you heard this from anyone else? Tysm for this! My brother has lung cancer and his oxygen needs are increasing. I am being told that they may not be able to accommodate his needs at home. Documenting your experience allows me to push the Insurance carrier further with specific requests I found in your article. Sending lots of love your way! I want to thank you for sharing all of your experience with liquid oxygen. My husband is on 10 l and 15 L walking. Since I have seen your YouTube page on having a small tank in the car I have asked our oxygen company to try to supply us with one. My other question is how long does a T1000 last after you fill them without using them.